By definition “trends” are fleeting and all I can say is thank God for that, as recently there have been far too many beauty trends that I’d much rather remove from my sartorial memory. We’re all that little bit more adventurous when it comes to trying nail trends; it’s simple, if you hate it, you can easily get rid of it. 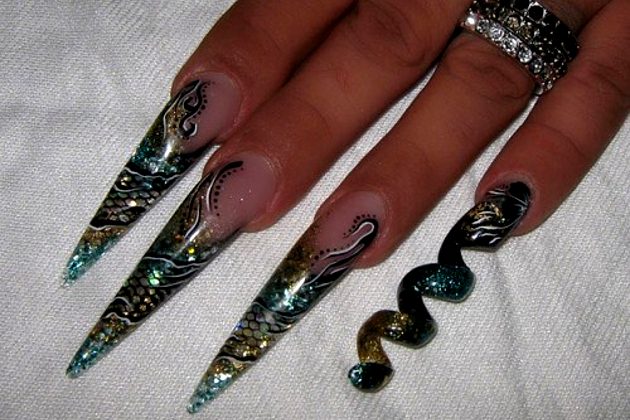 But whether it’s a flared nail shape or extreme animal decorations, a “no- go” line must be drawn. Duck nails have been around for a few years now. 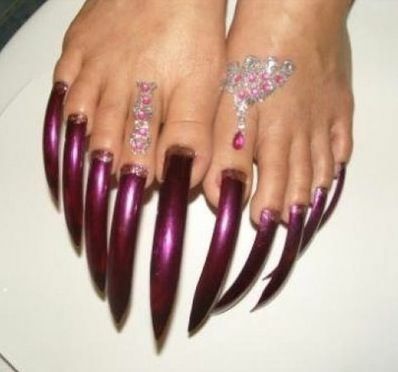 But the question no doubt many have asked themselves upon seeing this highly impractical monstrosity of a manicure: who in their right mind looks at the foot of an animal and thinks “hmmm my nails would look just awesome that shape”? Along with the other more obvious questions like how do you get your rings on and off when your nails are that wide? And how much of your lunch can you save under there for later snacking? 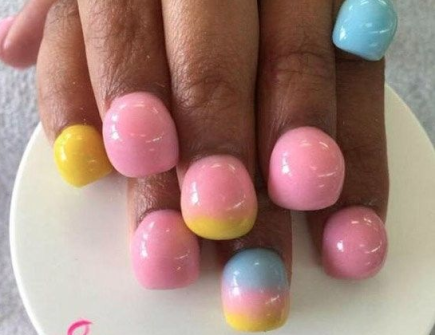 Few beauty trends make me audibly gasp in horror; but bubble or hump nails, made me do just that. Whoever thought that layering big blobs of gel on top of each other to form these hideous domes should hang their head in shame. There is nothing fun or cute about looking like you have some sort of disfiguring finger disease. We can thank the likes of Rihanna and Lady Gaga for getting this health hazard of a trend off the ground. Love them or loathe them dagger digits are always guaranteed to make an appearance at some point in the annual nail trend calendar. I’ve tried them and came “this” close to impaling myself in a minor carpet trip-up incident, so I’m quite satisfied in saying I won’t be trying them again. The spiral accent nail on the other hand!! I can think of at least one very merry reason why it would be amazing to have a corkscrew on your little finger…. God bless the Japanese. They’ve given the beauty world so many wonderful things: amazing skincare lines, the fluffiest false lashes and little tools and gadgets that have added hours of endless joy to our beauty routines. 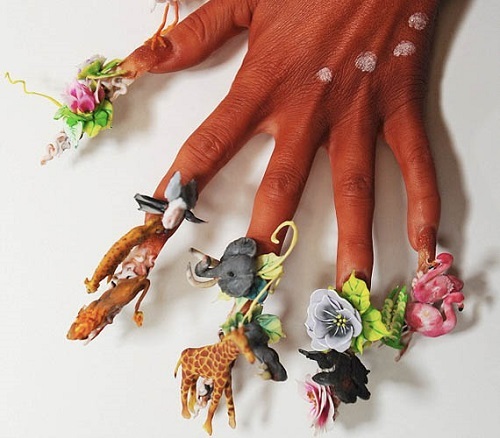 They’ve also blown the regular concept of nail art in to the stratosphere. I love crystals, stars, beads and other nail accoutrements but I draw a line at having half of Noah’s ark hanging off my fingertips. The woman with those toes must be single.